Plans to further develop the man-made Karasuma Peninsula in Kusatsu with a resort hotel failed as no takers emerged to build it. A third-sector corporation called the Biwako Lakefront Center (びわ湖レイクフロントセンター), established in 1989 by Shiga Prefecture, Kusatsu, Shiga Bank, and other companies to promote the hotel resort development, was dissolved in Aug. 2008. Shiga Prefecture: Loss of 290 million yen. Kusatsu city: Loss of 340 million yen. 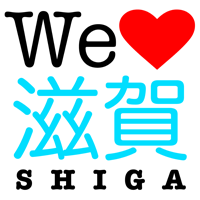 Shiga Bank: Loss of 460 million yen. The peninsula already has the Mizunomori lotus pond (blooms in July) and Lake Biwa Museum. The rest of the land is pretty much a park.